Slotted Orchids pots that I use for growing made it very convenience to adjust water level. 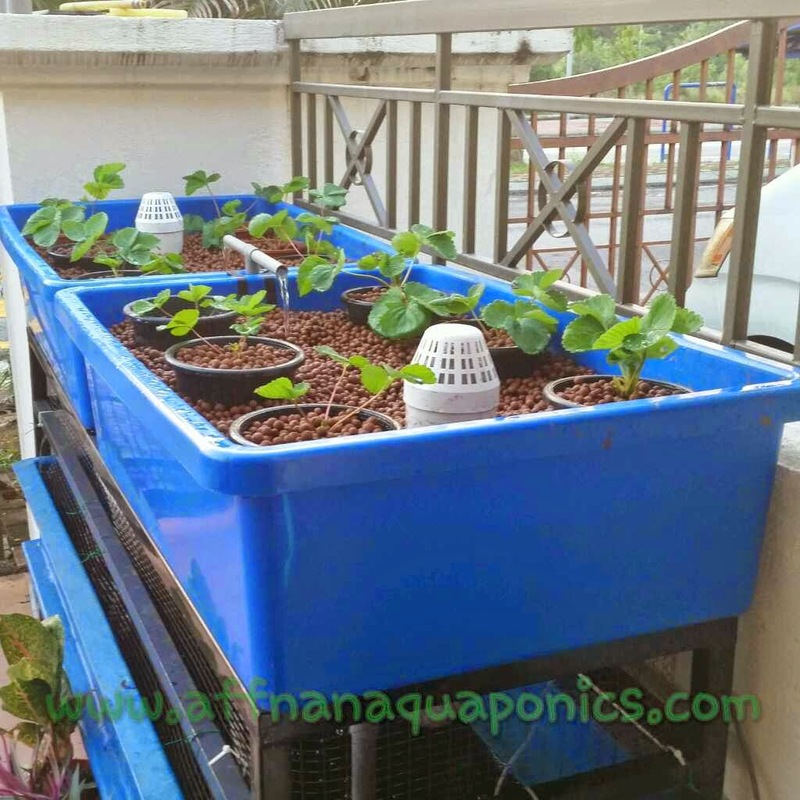 Since some plants require different water level, with individual pots it can be adjusted to suite the plants that in it. 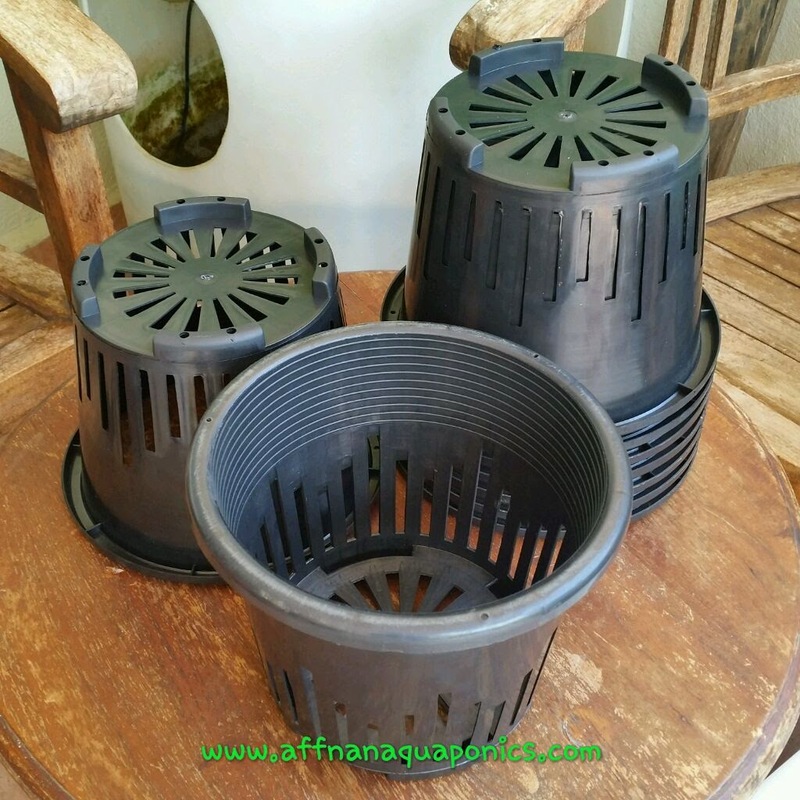 These pots has good drainage and I can easily adjust its level within the growbed to suit what ever I plant. This pots are about 6" across, therefore larger plants will not be suitable. Shallow roots plants like Strawberry, Chives and leafy vegetable is best to use these pots. At certain stage of their growth water level may need to be adjusted to ensure they grow. Especially after transplanting where water level are normally set to high. 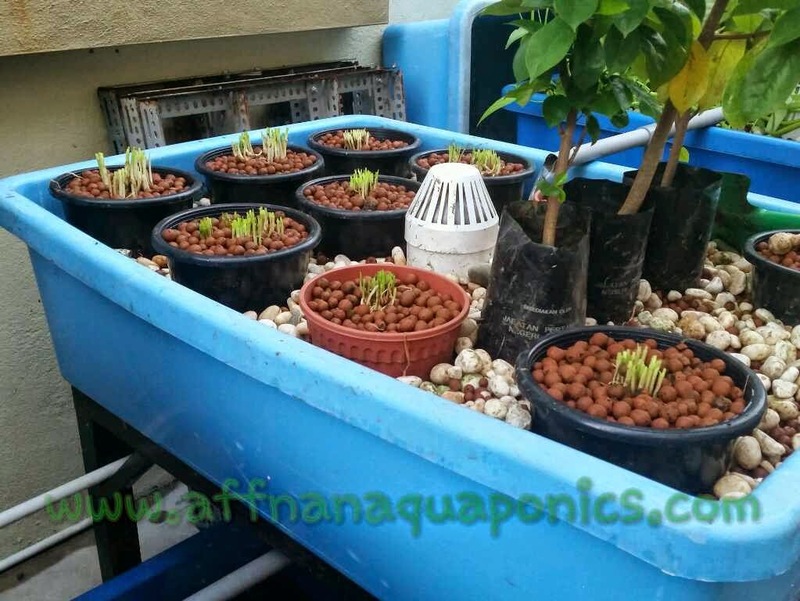 With many plants in a growbed, adjusting the growbed water level will affect all plants in it. Having individually potted plants in the growbed, it then can be position higher or lower within the growbed to get water level as required. 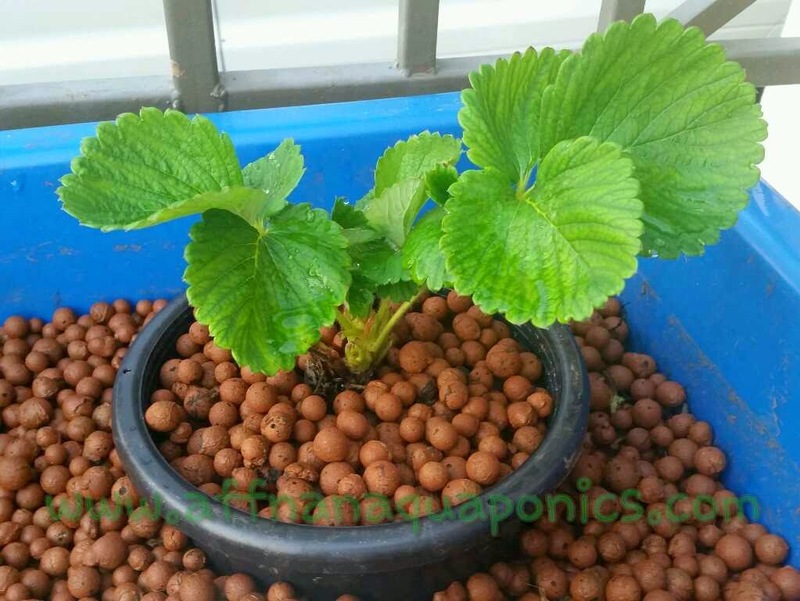 Strawberry as above was just transplanted, so the water level are adjusted to be high with pots burried deeper in the growbed. 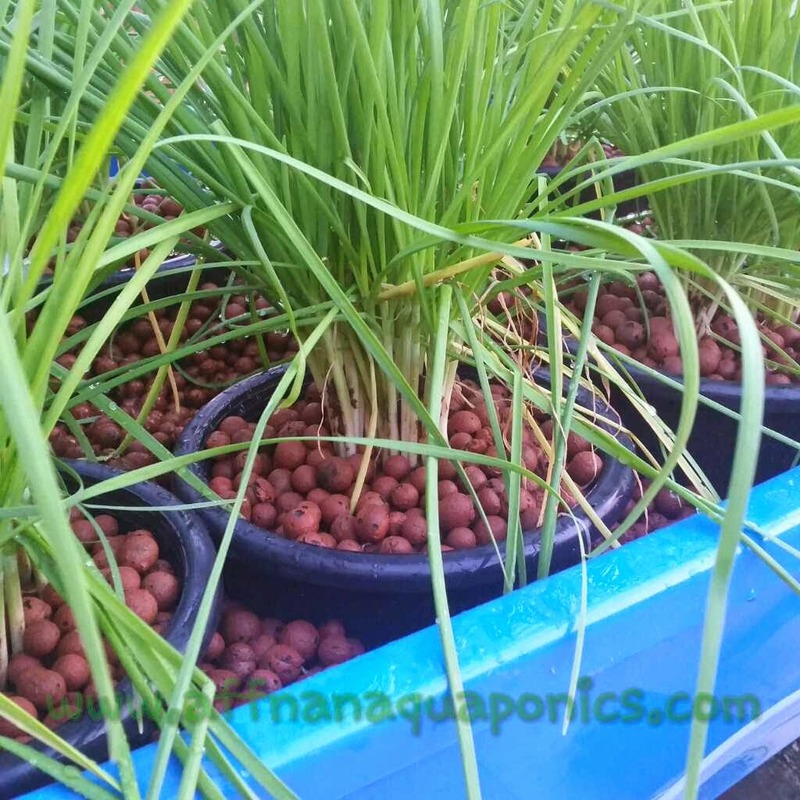 Plants like Chives, above don't require high water so I adjust the pots to be higher up making the water level relatively low. 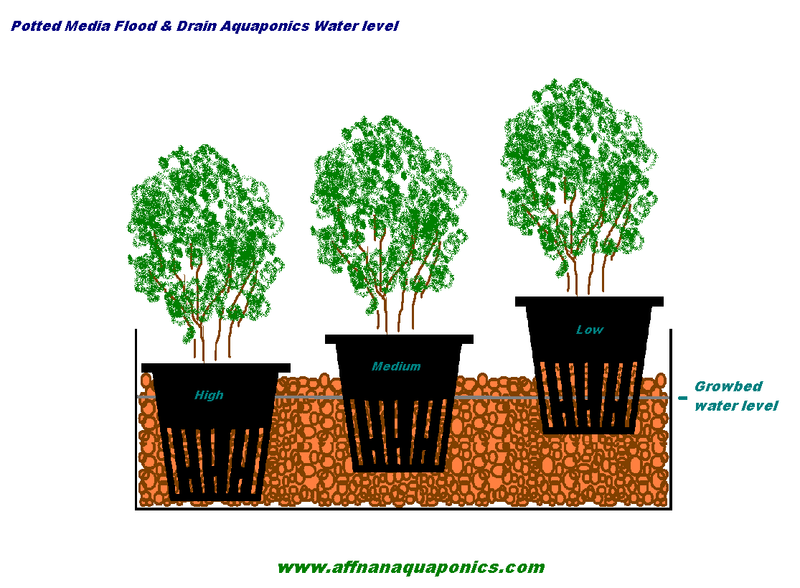 Above is a simple illustration on what I do to achieve different water level for individual plants within same growbed. This I find easier to do since pots containing the plants can be lifted without stressing the plants much. You may also want to start with placing the pot a little lower until roots grown in length, then gradually lift it out higher to reach the final level optimal for the grown plant.